Too many Americans only know about New Jersey through its pop culture representations. At one end of the spectrum there’s tough, gruff, tragic gangster Tony Soprano, and at the other, twee, indie Zach Braff screaming into a big hole in the crowd while listening to the Shins with his equally twee new girlfriend. There’s the geniuses at Princeton, and the reality show that shall not be named. But there’s a lot more to the Garden State than what you’ll find on the big screen. In 2014, visits to New Jersey jumped 4.4% to 93.2 million, leading strong growth in the state’s tourism sector. So who exactly is visiting and moving to New Jersey, and why? Despite New Yorkers’ well-documented disdain for the Garden State, even the New York Times reports that residents are fleeing Manhattan and Brooklyn in droves for the actually affordable rents of Jersey City. Before long, half of New York City residents could be commuting from Jersey. According to Forbes, five of the 400 richest people in the country live in New Jersey. On average, there are roughly 1,500 jobs posted at various Atlantic City casinos at any given time. Not only that but 540 public employees in New Jersey reported higher salaries, opposite national trends. NJ short term rentals like corporate housing report strong interest this year. 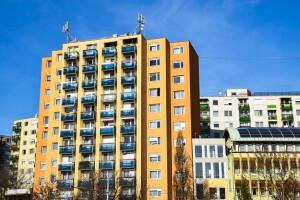 Corporate housing provides NJ short term rentals in furnished apartments, usually for relocating employees or businessmen and women on assignment for work. Surveys show that 32% of NJ short term rentals go to people relocating for a job, while 20% stay in furnished corporate housing for job training or business projects. Corporate housing rentals have been strong this year, which is a good indicator of overall job growth. In February of 2015, employers added 6,800 jobs.